I’m often asked why I always return to Paris. I used to tell people that I go back because I like the woman I am in Paris, but now I am that woman everywhere I go, and yet I return to Paris at least three times each year. Yes, my very closest friend lives there, but I keep returning because Paris inspires and grounds me in a way nowhere else can. In Paris, I can dream without my usual restraining “commonsensical” filters. We all need inspirational spaces to work on our personal development. If you end up in Paris, here are a couple of very special places where my inspiration and confidence have been nurtured and ideas born. 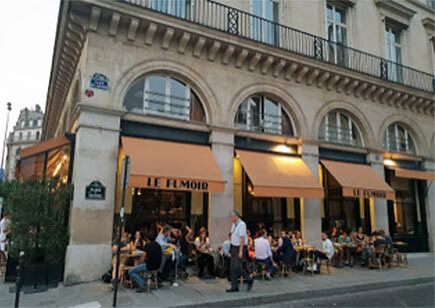 Le Fumoir in the 1st arrondissement is one of my favorites. I usually stay on the Ile de la Cite, so it is a quick walk for me across Pont Neuf. As you pass a church, you’ll approach Le Femoir and see their orange awnings and a long bank of lovely windows. I love the interiors of Le Fumoir. When you push open the doors you immediately enter one of those old Parisian bars, where people can sit, have a drink, read a newspaper or drink coffee. The leather chairs are well worn, and as you sink into the indentation of years of variously sized bums sitting in the same chair, you’ll feel like you’re in someone’s ancestral home. The bar is zinc topped with a wide array of liquors displayed in the mirrored backdrop and the bartender is usually engaged in conversation with a regular but greets you if you are patient and say the required “Bonjour Monsieur.” During the colder months the bar area is packed but usually, there is some place to squeeze in. I love waiting for a table in this area because the characters around me are almost always French folks of varying ages and endeavors. 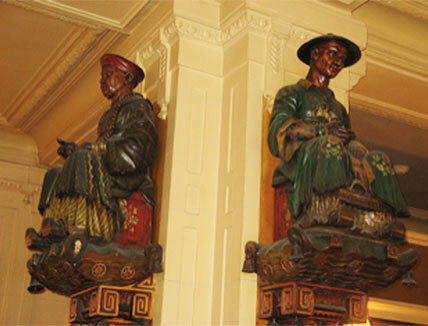 Once you are led to your table, you walk on old wood floors that creak with each step you take through the restaurant. If it’s sunny, light will stream through the windows, but no worries. There are blinds you can easily shut if you find yourself squinting. 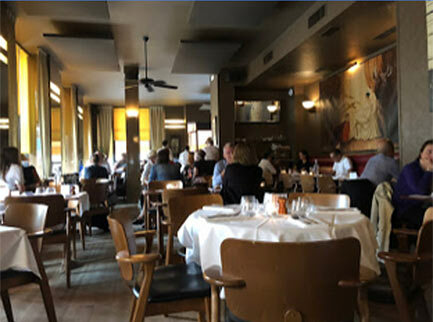 On Sundays, Le Fumoir is filled with families waiting for their traditional Sunday brunch table. Lunchtime during the week, the restaurant is filled with business people. I’m always amazed at how lengthy the French business lunch is with the first course, second course and possibly even dessert, wine with food, and always concluded with coffee. No American business lunch I’ve ever attended honors such a dining tradition while at the same time talking business. I usually go to Le Femoir at off times because I like to bring my laptop and settle in for a while. My favorite spots are the tables along the window wall where I can look out at the church next door, and grab ahold of the words or ideas that are streaming through my mind. There is a calmness to eating in Paris. Rarely is anyone pressuring you to finish; yet they never forget you. Strangely in this city of love, they are much more comfortable with a single diner than any place in the states. I’ve shared that one key to sitting in restaurants and working is to go during the off hours, but I also love my favorite places during more traditional meal times, when I chose to bring a small notebook rather than my laptop. I have even made a point of enjoying the French tradition of a post-church Sunday lunch. 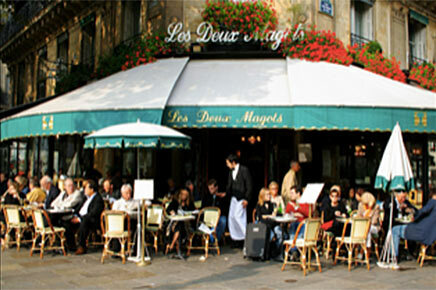 One Sunday at Les Deux Magots, I sat next to a single older woman, who was dressed in a beautiful blouse, skirt, cardigan sweater and of course stockings, that most traditional French older woman wear. 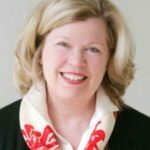 What was different was that she was not apologetic that she was alone, nor did the waiter seem to treat her any different than if she had been part of a couple or the family on the other side of me. This lovely solo lady ordered a full lunch complete with champagne, a glass of wine, finishing with a coffee. The French family on the other side of me was multi-generational who also must have been regulars given the reception of the wait staff. I was amazed that there were no phones, no video games and lots of conversation through the many courses of the traditional French Sunday mid-day dinner. If you find yourself in Paris, I hope you enjoy these two cafes as much as I do. Write that next chapter of your life, while you soak in the ambiance of a lasting space.